Ankli, Roger, Dan Helsberg and John Herd Thompson. “The Adoption of the Gasoline Tractor in Western Canada.” In Canadian Papers in Rural History, ed. Donald Akenson, vol. 2. Ganoque, ON: Lansdowne Press, 1980: 9-39. Binnema, Theodore. Common and Contested Ground: A Human and Environmental History of the Northwestern Plains. Toronto: University of Toronto Press, 1999. ———. “‘With Tears, Shrieks and Howlings of Despair’: The Smallpox Epidemic Of 1781-82.” In Alberta Formed, Alberta Transformed, eds. Michael Payne, Donald Wetherell and Catherine Cavanaugh. Edmonton: University of Alberta Press, 2006: 111-32. Boyd, Matthew. “Identification of Anthropogenic Burning in the Paleoecological Record of the Northern Prairies: A New Approach.” Annals of the Association of American Geographers, 92, no. 3 (2002), pp 471-487. Bryant, Sheila J. “The Hind Quarter: Animal News You Can Use: Draft Animal Power.” Journal of Agricultural & Food Information, 11 (2010):360-66. doi: 10.1080/10496505.2010.518074. Carter, Sarah. Aboriginal Peoples and Colonizers of Western Canada to 1900. Toronto: University of Toronto Press, 1999. Cattelain, Pierre. 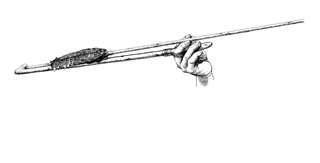 “Hunting During the Upper Paleolithic: Bow, Spearthrower, or Both?” In Projectile Technology, ed. Heidi Knecht. New York: Plenum Press, 1997: 213-40. Clutton-Brock, Juliet. A Natural History of Domesticated Mammals, 2nd ed. Cambridge: Cambridge University Press, 1999. Dickason, Olive. A Concise History of Canada’s First Nations, 2nd ed. New York: Oxford University Press: 2010. Falvey, J. Lindsay. An Introduction to Working Animals. Melbourne: MPW Australia, 1987. Gilpin, John. Roads to Resources: A History of Transportation in Alberta. Edmonton: The Alberta Roadbuilders and Heavy Construction Association, 2005. 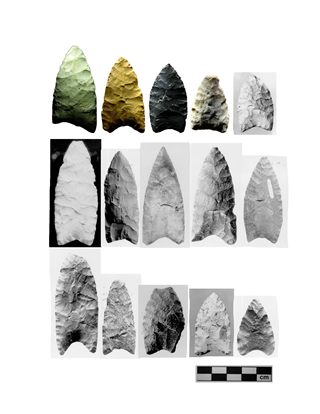 Ives, John W. “13,001 Years Ago: Human Beginnings in Alberta.” In Alberta Formed, Alberta Transformed, eds. Michael Payne, Donald Wetherell and Catherine Cavanaugh. Edmonton: University of Alberta Press, 2006: 1-36. Landels, J.G. Engineering in the Ancient World. London: Chatto & Windus, 1978. Lappage, Ronald. “Physical Feats of the Voyageur.” Canadian Journal of the History of Sport 15,1 (1984): 30-37. Lewis, Henry T. A Time for Burning. Occasional Paper 17, Boreal Institute for Northern Studies. Edmonton: Boreal Institute for Northern Studies, 1982. Losey, Timothy C. History of the Automobile in Alberta, 1900-55. Wetaskawin: Reynolds-Alberta Museum, 1984. Mazoyer, Marcel and Laurence Roudart. A History of World Agriculture: From the Neolithic Age to the Current Crisis. New York: Monthly Review Press, 2006. Myers, Pat. Facing the Land: Homesteading in Alberta. Wetaskawin: Friends of the Reynolds Alberta Museum Society, 1992. ———. When the Whistle Blows: Steam Threshing in Alberta. Wetaskawin: Friends of the Reynolds Alberta Museum Society, 1992. Peck, Trevor. 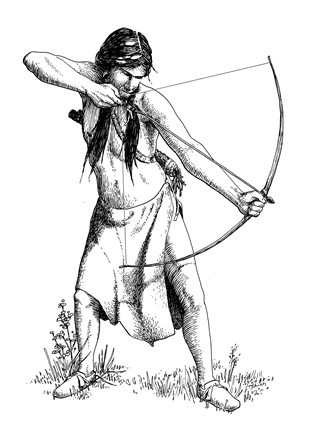 Light from Ancient Campfires: Archeological Evidence for Native Lifeways on the Northern Plains. Edmonton: AU Press, 2011. Peck, Trevor and J. Rod Vickers. 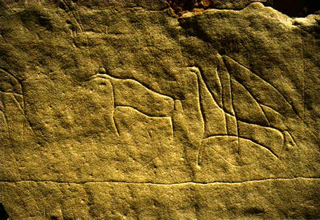 “Buffalo and Dogs: The Prehistoric Lifeways of Aboriginal People on the Alberta Plains, 1004-1005.” In Alberta Formed – Alberta Transformed, eds. Michael Payne, Donald Wetherell and Catherine Cavanaugh. Alberta: Centennial History Society, 2005: 55-86. ———. “Islands in a Sea of Grass: The Significance of Wood in Winter Campsite Selection on the Northwest Great Plains.” In Archeology on the Edge. Occasional Paper 4, Canadian Archaeology, eds. Brian Kooyman and Jane H. Kelley. Calgary: University of Calgary Press, 2004: 95-124. Rasmussen, Wayne D. “The Impact of Technological Change on American Agriculture, 1862-1962.” Journal of Economic History 22,4 (1962): 578-91. Sheppard, R. Bruce. “Tractors and Combines in the Second Stage of Agricultural Mechanization on the Canadian Plains.” Prairie Forum 11,2 (1986): 253-71. Tingley, Kenneth. Steel and Steam: Aspects of Breaking Land in Alberta. Wetaskawin: Friends of the Reynolds Alberta Museum Society, 1992. Wetherell, Donald with Elise Corbet. Made in the West for the West: A Century of Farm Equipment Manufacturing in Prairie Canada. Edmonton: Prairie Implement Manufacturers’ Association, 1992. Bowers, Brian. “Electricity.” In An Encyclopedia of the History of Technology, ed. Ian McNeil, 2nd ed. London: Routledge, 1996: 350-87. Crosby, Alfred W. Children of the Sun: A History of Humanity’s Unappeasable Appetite for Energy. New York: W.W. Norton, 2006. Dogterom, Irma and William Lingard. The Butcher, The Baker, The Candy Maker,1870-1920: A Guide to the First Fifty Years of Commerce in Lethbridge. Lethbridge: Lethbridge Historical Society, 2005. Dolphin, Frank and John Dolphin. 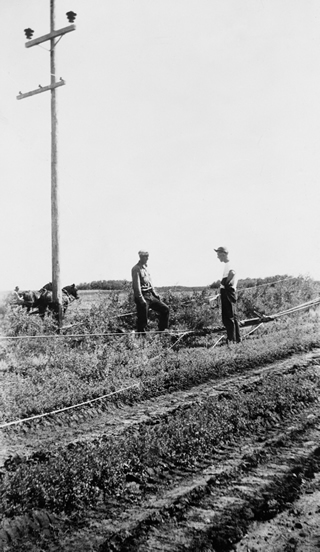 Country Power: The Electrical Revolution in Rural Alberta. Edmonton: Plains Publishing, 1993. Government of Alberta (Energy). “Generation Additions Since 1998.” http://www.energy.alberta.ca/Electricity/pdfs/Website_Stats_Update_-_November_2012.pdf . Accessed 25 October 2013. Hawkins, W.E. 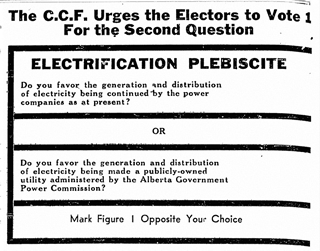 Electrifying Calgary: A Century of Public and Private Power. Calgary: University of Calgary Press, 1987. Institute of Electrical and Electronics Engineers. Electricity: The Magic Medium. Thornhill, ON: IEEE, Canadian Region, 1985. Johnston, Alex and Andy den Otter. Lethbridge: A Centennial History. Lethbridge: Lethbridge Historical Society, 1991. Jonnes, Jill. Empires of Light: Edison, Tesla, Westinghouse and the Race to Electrify The World. New York: Random House, 2003. Marshall, Heather and Debbie Culbertson. Candles to Kilowatts: The Story of Edmonton’s Power Company. Edmonton: Duval House Publishing, 2002. Page, Robert and David Finch. 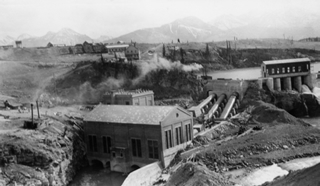 Powering Generations: The TransAlta Story: 1911-2011. Cochrane, AB: Kingsley Publishing, 2011. Andruschuk, Sue. TransAlta Utilities: 75 Years of Progress. Calgary: TransAlta Utilities, 1986. Armstrong, Christopher and H.V. Nelles. 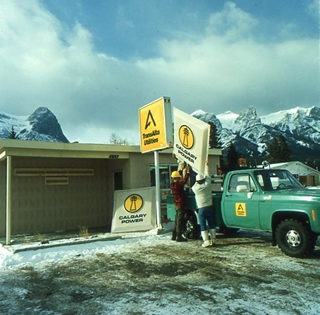 Wilderness and Waterpower: How Banff National Park Became a Hydro-Electric Storage Reservoir. Calgary: University of Calgary Press, 2013. Gordon, Robert B. and Patrick M. Malone. 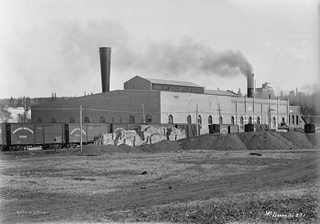 The Texture of Industry: An Archaeological View of the Industrialization of North America. Oxford: Oxford University Press, 1994. Hatch Ltd. Final Report for Alberta Utilities Commission: Update on Alberta’s Hydroelectric Energy Resources (2010). http://www.energy.alberta.ca /Electricity/pdfs/AUCHydroelectricStudy.pdf. Accessed 25 October 2013. Hawkins, W.E. Electrifying Calgary. Calgary: University of Calgary Press, 1987. Kuhn, Dieter. The Age of Confucian Rule: The Song Transformation of China. Cambridge: Belknap Press of Harvard University Press, 2009. Lucas, Adam. Wind, Water, Work: Ancient and Medieval Milling Technology. Leiden: Brill, 2006. Major, F. Kenneth. “Wind, Water and Animal Power.” In An Encyclopedia of the History of Technology, ed. Ian McNeil, 2nd ed. London: Routledge, 1996: 229-71. Nye, David E. Consuming Power: A Social History of American Energies. Cambridge: MIT Press, 1998. Nelles, H.V. 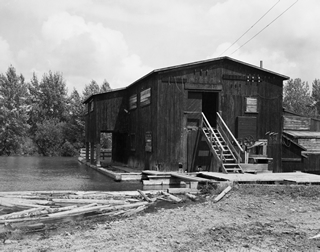 The Politics of Development: Forests, Mines and Hydro-electric Power in Ontario, 1849-1941. 2nd ed. Montreal-Kingston: McGill-Queen’s University Press, 2005. Olson, James Stuart. Encyclopedia of the Industrial Revolution in America. Westport, CT: Greenwood Press, 2002. Pursell, Carroll W. The Machine in America: A Social History of Technology. 2nd ed. Baltimore: Johns Hopkins University Press, 2007. Reynolds, Terry S. Stronger Than a Hundred Men: A History of the Vertical Water Wheel. Baltimore: Johns Hopkins University Press, 1983. Alberta. Climate Change Advisory Panel to Minister. Edmonton: Government of Alberta, 2016. http://www.alberta.ca/documents/climate/climate-leadership-report-to-minister.pdf Accessed May 6, 2016. Canadian Wind Energy Association, “Powering Canada’s Future: September 2013.” http://www.canwea.ca/pdf/Canada%20Current%20Installed%20Capacity_e.pdf Accessed October 24, 2013. ———. “WindVision 2025: Powering Canada’s Future.” http://www.canwea.ca/windvision_e.php. Accessed October 25, 2013. ———. “WindVision 2025: A Strategy for Alberta.” http://www.canwea.ca/windvision_ab_e.php. Accessed October 25, 2013. Capital Power. 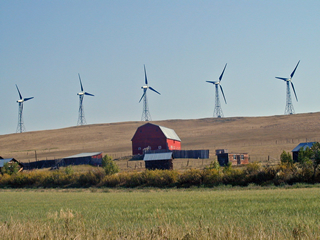 “Halkirk Wind – Photo Essay.” http://www.capitalpower.com/generationportfolio/merchantcommercial/Pages/Halkirk.aspx Accessed October 25, 2013. ———. “Halkirk Wind – Wind Turbine Fact Sheet.” http://www.capitalpower.com/generationportfolio/merchantcommercial/Pages/Halkirk.aspx Accessed October 25, 2013. Environment Canada. “Canadian Wind Energy Atlas.” http://www.windatlas.ca. Accessed October 25, 2013. Foreign Affairs and International Trade Canada, “Renewable Energy: Wind and Solar: Canada’s Competitive Advantage.” http://ontariowindresistance.files.wordpress.com/2013/03/canada-renewable-energy-2012.pdf . Accessed October 24, 2013. Hills, Richard L. Power from Wind: A History of Windmill Technology. Cambridge: Cambridge University Press, 1994. Krivitsky, Julie. Wind Energy and Renewable Resources in Alberta. Canadian Institute of Resource Law Occasional Paper #30 (June, 2010). Musgrove, Peter. Wind Power. Cambridge: Cambridge University Press, 2010. Redlinger, Robert Y., Per Dannemand Anderson and Poul Erik Morthorst. Wind Energy in the 21st Century. Hampshire: Palgrave Macmillan, 2002. Righter, Robert W. Wind Energy in America: A History. Norman: University of Oklahoma Press, 1996. Satyajith, Mathew. Wind Energy: Fundamentals, Resource Analysis and Economics. Netherlands: Springer, 2006. Shepherd, Dennis. Historical Development of the Windmill. Washington, DC: National Aeronautics and Space Administration Office of Management, Scientific and Technical Information Division, 1990. Wang, Rui et al. Alberta Wind Power Variability Study. Prepared for Alberta Electric System Operator, 2005. Cheremisinoff, Paul N. and Thomas C. Regino. Principles and Applications of Solar Energy. Ann Arbor, MI: Ann Arbor Science Publishers, 1978. Drake Landing Solar Community. 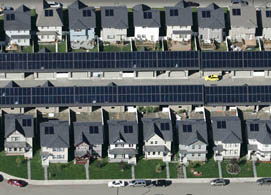 “Drake Landing Solar Community Brochure.” http://www.dlsc.ca/brochure.htm . Accessed October 25, 2013. Krivitsky, Julie. Solar Rights and Renewable Energy in Alberta. Canadian Institute of Resource Law Occasional Paper #31 (July, 2010). Leggett, Jeremy. The Solar Century: The Past, Present and World-Changing Future of Solar Energy. London: Green Profile, 2009. McVeigh, J.C. Sun Power: An Introduction to the Applications of Solar Energy. 2nd ed. Oxford: Pergamon Press, 1983. Perlin, John. From Space to Earth: The Story of Solar Electricity. Ann Arbor, MI: Aalec, 1999. Tabak, John. Solar and Geothermal Energy. New York: Facts on File, 2009. Bennett, Scott. Encyclopaedia of Energy. Delhi: Global Media, 2007. Burton, Francis. Fire: The Spark that Ignited Human Evolution. Albuquerque: University of New Mexico Press, 2009. Campbell, SueEllen. The Face of the Earth: Natural Landscapes, Science, and Culture. Berkeley: University of California Press, 2013. Canadian Geothermal Association. “Canadian Geothermal Project Overview 2013.” http://www.cangea.ca/canadian-projects/. Accessed October 25, 2013. ———. “Introduction to Geothermal Energy.” http://www.cangea.ca/geothermal-energy/ . Accessed October 25, 2013. Doucet, Joseph. Biofuels in Alberta. Edmonton: University of Alberta School of Business, 2007. Duffield, Wendell A. and John H. Sass. Geothermal Energy: Clean Power from the Earth’s Heat. Reston, VA: United States Geological Survey, 2003. Dunbar, Jean. “The Pools at Warm Springs, Virginia.” Early American Homes 31, no.3 (June 2000): 37-40. Dvorjetski, Esti. Leisure, Pleasure and Healing: Spa Culture and Medicine in the Ancient Eastern Mediterranean. Leiden: Brill, 2007. Fletcher, Katharine. 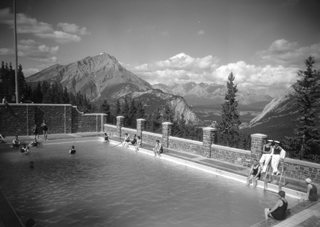 “Past Progressive: Taking the Waters in Banff, Alberta.” Canadian Medical Association Journal 178, no. 4 (February 2008): 444. doi: 10.1503/cmaj.080044. Government of Alberta (Agriculture and Rural Development). “More from Manure.” http://www1.agric.gov.ab.ca/$department/newslett.nsf/all/gm10016. Accessed October 25, 2013. Government of Alberta (Energy). 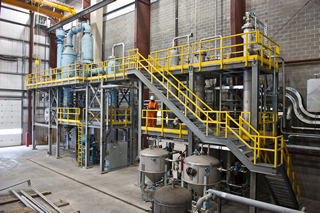 “Bioenergy.” http://www.energy.alberta.ca/BioEnergy/bioenergy.asp. Accessed October 25, 2013. Grasby, S.E. et al. Geothermal Energy Resource Potential of Canada, Natural Resources Canada, Geological Survey of Canada Open File 6914, 2011. Grover, Velma, Vaneeta Grover and William Hogland. Recovering Energy from Waste. Enfield, Science Publishers, Inc., 2002. Martin, Elizabeth. “Big Sky Oasis.” Humanities 33, no. 1 (January 2013): 8. Martynowych, Orest T. The Ukrainian Bloc Settlement in East-Central Alberta, 1890-1930: A History, Including Bibliography with Annotations. Edmonton: Alberta Culture, 1985. Mousdale, David M. Biofuels: Biotechnology, Chemistry, and Sustainable Development. London: CRC Press, 2008. Palmer, Howard and Tamara Palmer. “The Icelandic Experience in Alberta.” In Peoples of Alberta: Portraits of Cultural Diversity, ed. Howard and Tamara Palmer. Saskatoon: Western Producer Prairie Books, 1985: 174-94. ———. “The Romanian Community in Alberta.” In Peoples of Alberta: Portraits of Cultural Diversity, ed. Howard and Tamara Palmer. Saskatoon: Western Producer Prairie Books, 1985: 243-73. Pyne, Stephen J. Fire: A Brief History. Seattle: University of Washington Press, 2001. Southern Alberta Alternative Energy Partnership. “Geothermal Energy: Southern Alberta.” http://www.saaep.ca/geothermalenergy.pdf . Accessed November 4, 2013. Williams, Michael. Deforesting the Earth: From Prehistory to Global Crisis: An Abridgment. Chicago: University of Chicago Press, 2006. Bell, Jeff and Tim Weis. Greening the Grid: Powering Alberta’s Future with Renewable Energy. Drayton Valley, AB: Pembina Institute, 2009. Canadian Centre for Energy Information. “About Energy.” http://www.centreforenergy.com. Accessed October 25, 2013. Canadian Electricity Association. “Key Canadian Electricity Statistics (released May 21, 2013.” http://www.electricity.ca/media/IndustryData/KeyCanadianElectricityStatistics21May2013.pdf . Accessed October 25, 2013. Government of Alberta (Energy). 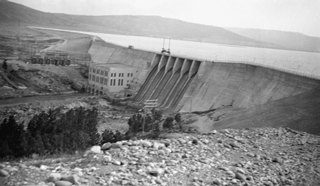 “Energy History.” http://www.energy.gov.ab.ca/About_Us/1133.asp . Accessed October 25, 2013. Spellman, Frank and Revonna Bieber. The Science of Renewable Energy. Boca Raton, FL: CRC Press, 2011. Yergin, Daniel. The Quest: Energy, Security and the Remaking of the Modern World. New York: Penguin Press, 2011.